Computers, like cars, need a regular service. We offer a full service on your computer, including health checks on all hardware, virus checks and software updates, we even clean the dust out of your machine. Our new PC service in Bexleyheath, DA7 is a convenient computer servce. So why not get the very best out of your PC? 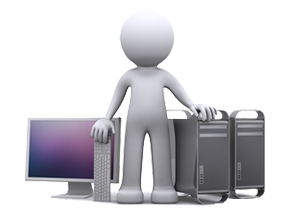 Call or email us now and arrange a PC Service for your computer. Turn around time is typically 48 hours, this makes sure we have enough time to run full malware scans. Tontin offer hardware and software support for all types of PC including all-in-one, desktops, laptops, netbooks, notebooks as well as related peripherals. We aim to offer a sensibly priced service through the use of fixed price repairs and a transparent price list. In most repair situations the only variable is the cost of parts (if any). Once we have diagnosed the fault and established which part(s) are required then you the customer know exactly what the repair will cost. With our catchment area including all the DA Postcodes, we provide an easy to use, reliable computer repair service for the Bexleyheath area. We are located just a few minutes from Dartford Bridge and the M25 and A2. This means we are accessible for motorway commuters and visitors to Bluewater as weel as the South Essex region. Remote support is available to customers outside our catchment area. We strive to offer an honest and reliable service. We fully adhere to our "No Fix - No Fee" policy and the principles behind it. We offer contract support to companies inside the M25 and North Kent. Our contract support options include secure remote support to user's desktops and on-site repairs with 24/7 cover available. We also offer comprehensive mail and domain services. Whether you require simple email addresses for a few staff or need group facilities, we can manage everything for you. including help with desktop and mobile clients. Our domain services are simple, we can purchase and renew a domain for you. We are listed as adminstrators, but the customer is the domain owner. This means that we do all the behind the scenes activity such as DNS entries and MX pointing etc. For smaller companies we can manage a company wide Google Mail facility. We set everything up for you pointing your mail to Google's servers and can assist with groups and user accounts etc. Home callouts are available at a fixed price within our catchment area (DA Postcodes). Parts are not included and the repair is limited to a single computer and related hardware such as printers or router etc. Generally, we advise using our fully equipped workshop facilities in order to reduce your repair cost and allow for lengthy virus scans etc. Click here for our current prices. We offer battery, power supply, screen, keyboard and hard drive replacement as well as our standard software or operating system repairs. Obviously hardware repairs are subject to availability of parts. 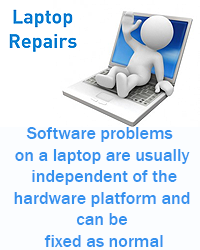 We may be able offer other repairs such as motherboard replacement depenant upon the make and model of your laptop. We operate a No Fix - No Fee policy. This works very simply, our technicians will fix or diagnose the fault on your computer or you pay nothing. Where we are unable to fix your PC or laptop, we will offer advice as to where you should go. Typically, this situation may happen when specialist parts are not available and you are better off utilising a manufacturer's extended warranty. On rare occasions we can only offer a diagnosis for the fault as the fix is just not economically viable for your computer. If we can establish what the problem is, but you decide not to go ahead with the repair you will still be charged. If an on-site or home repair proves lengthy, our technician will recommend continuing the repair at our workshop facilities. This is facilitate an easier repair in our workshop environment which has specialised tools and equipment. The Remote Support tool is there for computer problems that don't require a PC Engineer to be physically present. PC problems such as a non functioning program, driver issues, program tutorials and viruses can be solved remotely by a computer engineer. This doesn't only save you time, but also money. A remote fix can be cheaper and much less time consuming then calling a computer engineer or dropping your computer off to be fixed. During a Remote Support session, there is a constant connection between the engineers computer and the clients computer/laptop. This connection is a 100% safe and will not affect your systems security or personal files. Remote Support allows us to show the user how to fix computer/laptop problems, so they feel empowered and have the future knowledge to deal with similar IT issues. How do I connect to a Remote Support session? Once you have clicked on your selection you will be taken to a download page , please click on the download button, when prompted say yes to running the download, if your security asks if you wish to allow the program please say yes. 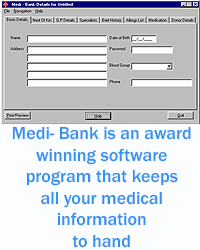 The program will now begin to install, Click "accept" and enter your name, or optional your company name. Now you have entered the Tontin Remote Support waiting area where a computer engineer will contact you shortly. What happens during a Remote Support session? When you see this window, it means that an engineer now has access to your computer. Please note that a client can close this connection at any time by clicking "End Session". You can also communicate with the engineer by clicking on the "Technicians Chat" button. Once you click the button, the following window will open. As soon as the connection is established, the engineer can start to fix the problems with your computer. Any questions you may have can be asked through the technicians chat. Also the technician will notify you in chat if he or she requires your assistance. Which computer problems can't be solved with Remote Support? Hardware problems such as a malfunctioning graphics card, motherboard, etc. Although these problems can be diagnosed over remote support, they can't be fixed over remote support. After the remote support session? Once the fixes have been implemented on your computer during the remote support session, the engineer will turn off the connection. Tontin ensures you that no software will be left behind and your computer will be left secure, safe and in it's original state. The only changes on your computer will be the fixes that have been implemented by the engineer. 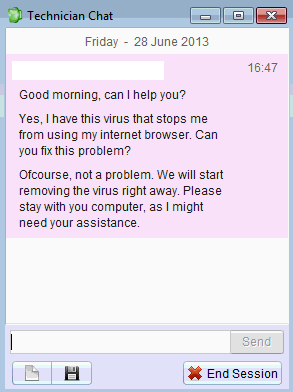 In some cases the client may request a persistent connection. The persistent connection is a saved connection between the clients computer and Tontin. This connection is a 100% secure and can only be used on request of the client. A persistent connection is often used for business support or clients that need a quick computer fix. A persistent connection does not have to be initiated by the client, but can be started by the engineer on the clients request. By requesting and accepting a remote session from Tontin, you accept responsibility for any changes made to the desktop content or system settings. 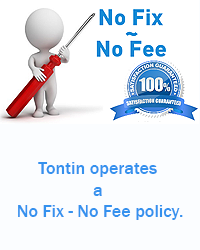 While our skilled technicians make every effort to ensure that your computer operates as requested, Tontin does not assume and is not responsible for subsequent operation and system changes attempted on your behalf. Tontin recommend for your security and privacy that you exit any open applications that are displaying personal content or confidential information before initiating a remote support session. We also recommend that you remain seated at your computer throughout the entire remote session. Your data is important to us. With very few exceptions no data is retained by Tontin and we will not be held responsible for any data loss occurring during or after a remote session. 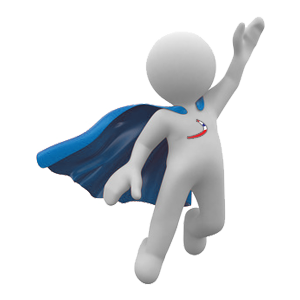 If you require help in setting up a backup procedure for your data please check our support pages. Tontin continually strives to improve and update our service offerings. While we will do our very best (within time and expense constraints), we cannot guarantee that our service will resolve your problem or that attempting to rectify your technical issue will not cause additional problems.